Brief stops were made for crewing purposes at Horsham, Barnham and Chichester. At all of these Southern encouraged passengers to stand clear. 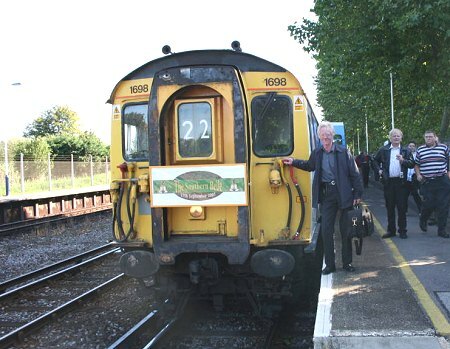 In contrast, at Havant the tour was greeted with a full automatic announcement that this was the 11:35 to Weymouth. 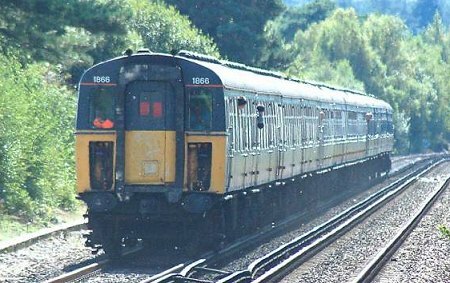 Despite the delays in the suburbs, the train had not been more than 5 minutes late along the Coastway, but further checks resulted in Southampton being reached ten minutes behind schedule. 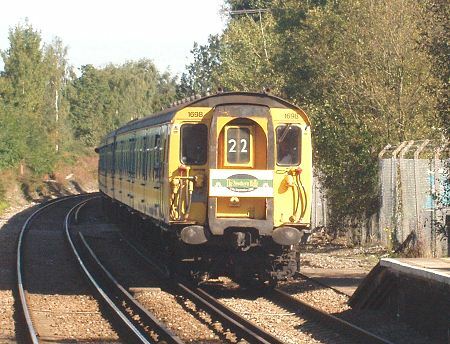 A ten minutes stop at Brockenhurst was cut back and departure was only a few minutes behind. Also whilst at Barnham raffle tickets were put onto the train as they had been overlooked earlier. 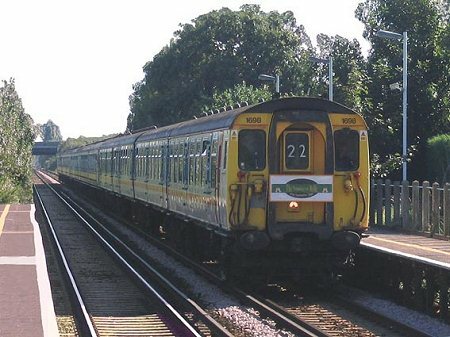 It was confirmed that there were some in a store at Barnham, so a telephone call was made, two books were found and handed over to the conductor on the train when it arrived. 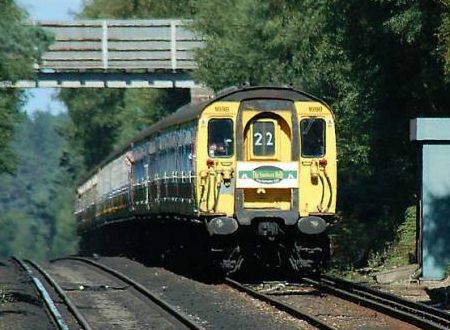 As the train ran through the New Forest a message was received that the first report of the tour had been posted on the SEG website before the tour had reached Southampton. We would like to claim that this was done by high-tech means from the train, but that was not the case. Unfortunately our webmaster's night shifts prevented him being on the tour. However, he had been able to photograph the train at Kensington Olympia on his way home from work and made sure the website was right up to date (who needs sleep?). Early on Sunday morning the report was updated to include photographs taken at Wandsworth Road the previous evening. Heading south from Surrey to West Sussex. Here the tour is about to go through Ockley station. It is a good job enthusiasts like head shots of trains because there are going to be a lot shown from this tour! At Warblington the tour is on time. An opportunity for the passengers to get a brief break, and the driver poses at the front of the train. The sun is out, the New Forest is in pre-autumn splendour, and a slam door train. What, apart from peace, good health and several million pounds (for a Southern Electric Museum), could any Southern Electric fan want? The line through the New Forest is obviously not flat!